Cities are undergoing a profound transformation at the convergence of digital information (bits) and physical environment (bricks). As virtual systems become spatialized, our cities are being transformed into an “Internet of Things”—or better yet, an “Internet of Spaces.” The inanimate physical environment is increasingly associated with a digital layer: code married to matter, physical brick to virtual bit. The city is becoming a physical companion to big data, the spatial infrastructure for digital information to proliferate. 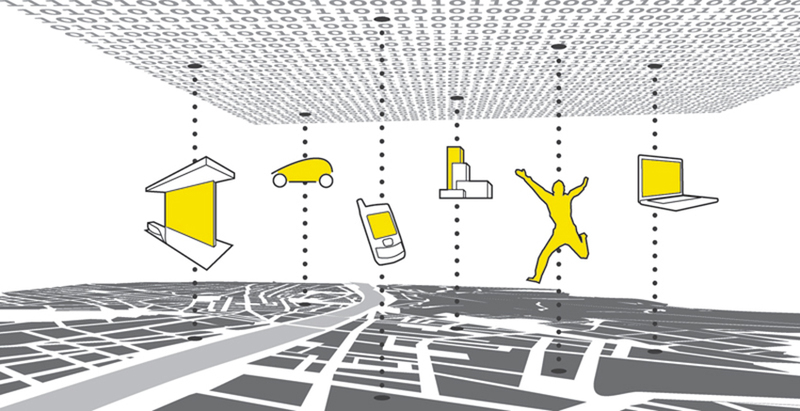 The SENSEable City Laboratory at MIT operates at the intersection of bits and bricks. Due to the interdisciplinary nature of the city, we believe that the only way to study the city is through a similarly diverse team of researchers. Our team at MIT is comprised of around forty researchers, spanning a wide range of disciplines including architecture and design, policy and planning, computer and data science, physics, engineering, graphic design and visualization and social sciences. We work internationally, partnering with cities, governments, corporations and non-profit organizations to research, design and implement proof-of-concept projects in cities and sites all around the world. MIT SENSEable City Lab. http://senseable.mit.edu/copenhagenwheel/index.html. A common focus in our work is the health and well-being of citizens in urban environments. 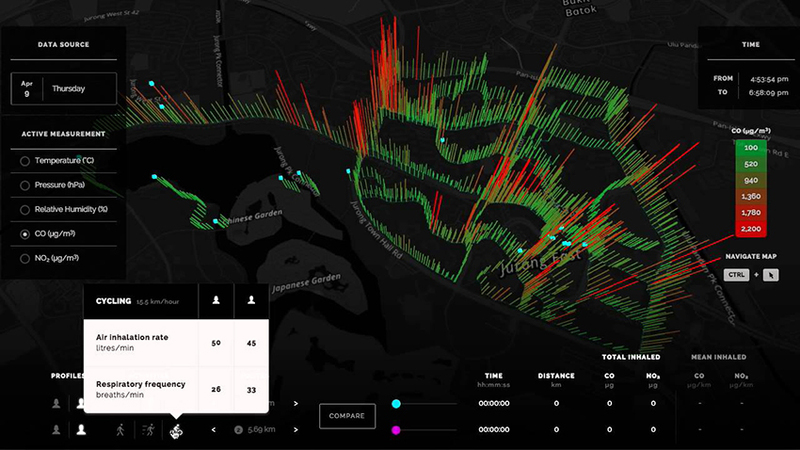 The projects that follow, DataCollider – AirScapes Singapore, The Copenhagen Wheel and Underworlds, illustrate three different directions from which we explore urban human health: data sharing and visualization, participatory sensing and the exploration of urban microbiome. DataCollider visualization platform. Image courtesy of SENSEable City Lab. 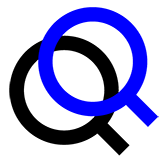 http://datacollider.io. 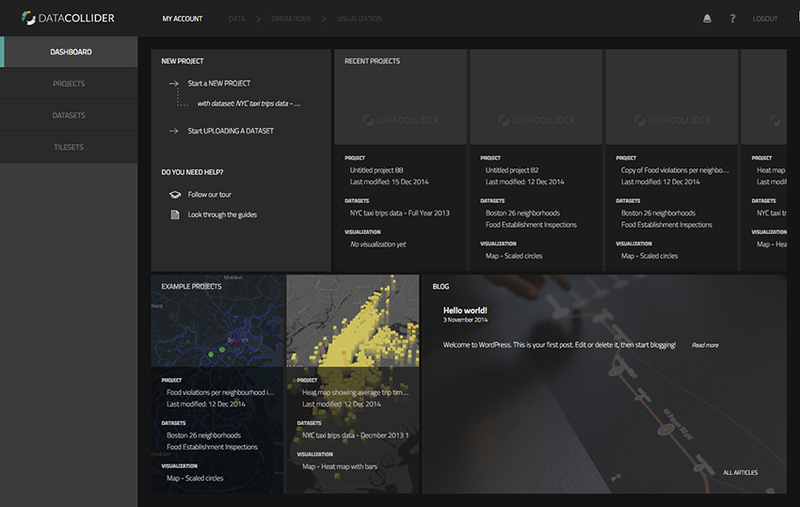 DataCollider, an ongoing project from our Singapore team, is a purely web-based platform for visualizing urban data. Created for public use as a tool to analyze data and generate visualizations efficiently and intuitively, it allows users to upload datasets in order to explore, present and understand the data easily. DataCollider platform dashboard. Image courtesy of SENSEable City Lab. http://datacollider.io. Normally, data projects are an intensive undertaking in terms of resources—a significant commitment of time and people is required to make sense of large datasets. DataCollider aims to simplify and semi-automate this process in order to reduce the commitment needed to understand data, therefore making data research more accessible and democratic for the general public. DataCollider analysis and visualization options. Image courtesy of SENSEable City Lab. http://datacollider.io. This platform has widespread applications. It can work with any geo-spatial data (including transportation, behavioral, energy, financial and social media information) and, as a data tool, generates high-quality, interactive data visualizations—therefore acting as an interface between raw data, the user/the designer and the client/the served. Our own research uses the DataCollider platform as a visualization tool for the urban sensing projects we perform and analyze. DataCollider visualization platform interface. Image courtesy of SENSEable City Lab. http://datacollider.io. 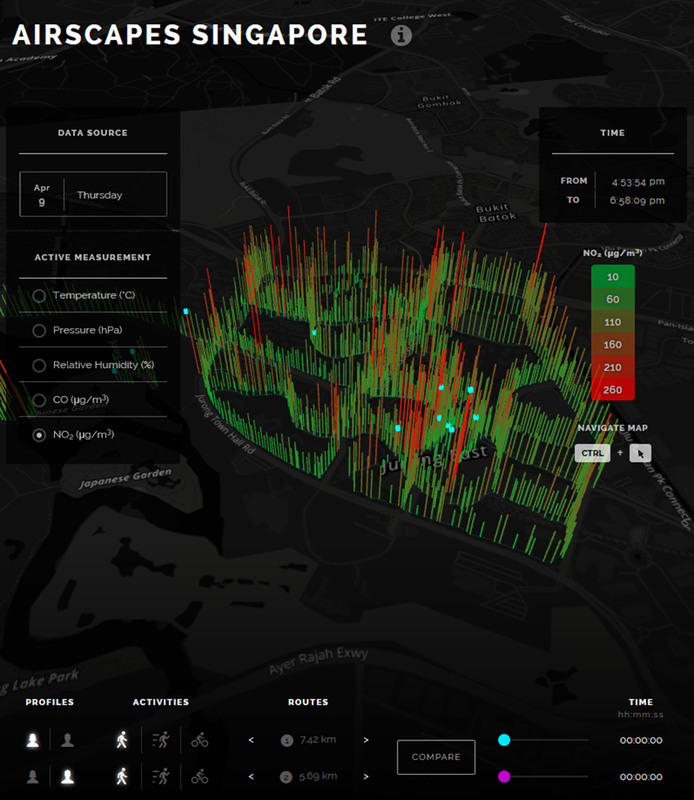 AirScapes Singapore: web visualization of air quality information. Image courtesy of Margarite Nyhan, Dinko Oletic, Rex Britter, Stephen Barrett and Carlo Ratti, 2015. http://eoe.airscapes.io. AirScapes Singapore: air quality sensor. Image courtesy of Margarite Nyhan, Dinko Oletic, Rex Britter, Stephen Barrett and Carlo Ratti, 2015. http://eoe.airscapes.io. 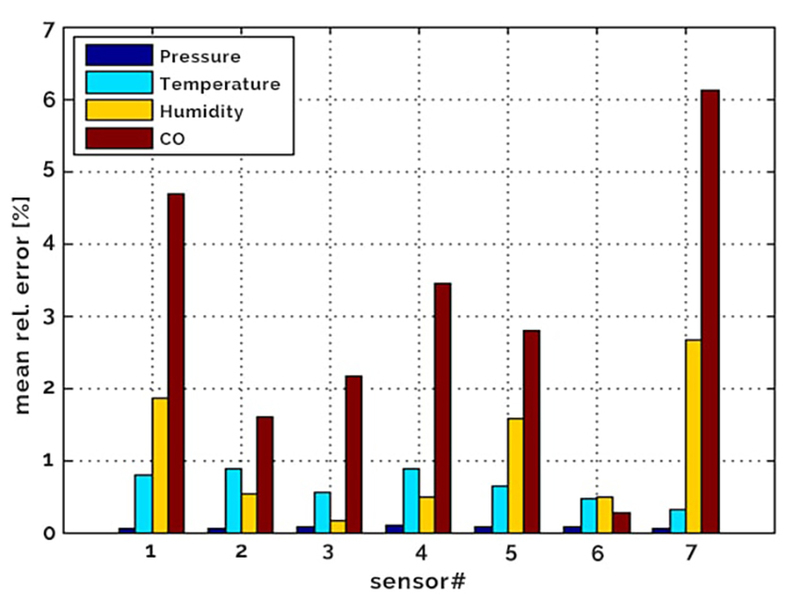 AirScapes Singapore: sensor data sample. Image courtesy of Margarite Nyhan, Dinko Oletic, Rex Britter, Stephen Barrett and Carlo Ratti, 2015. http://eoe.airscapes.io. 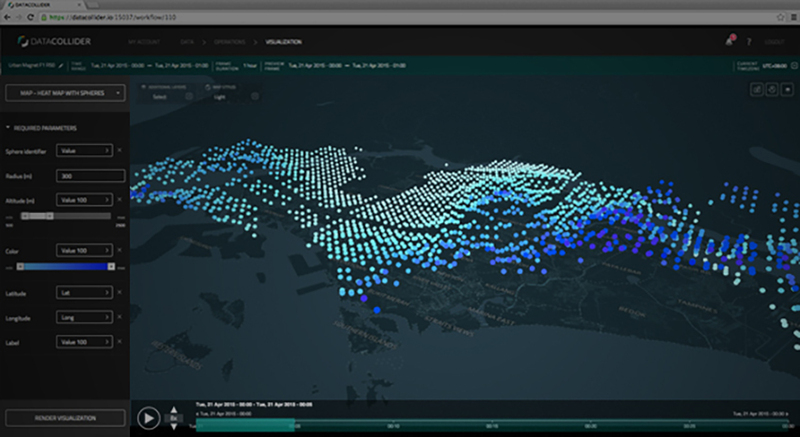 AirScapes Singapore: web interface. Image courtesy of Margarite Nyhan, Dinko Oletic, Rex Britter, Stephen Barrett and Carlo Ratti, 2015. http://eoe.airscapes.io. While sensors are commonly deployed through top-down, city-based infrastructure, much of our work relies on the opposite: bottom-up, participant-based sensing. The idea of participant sensing is to give the individual a sense of responsibility and contribution—a strategy that is important in building trust between government agencies and its citizens, and thereby creating systems that will implement real change. When citizens contribute meaningfully to sensing studies they are able to develop a sense of ownership and commitment to the data being collected, which in turn creates a degree of trust and understanding with the agencies performing the study. The Copenhagen Wheel. Video courtesy of SENSEable City Lab. 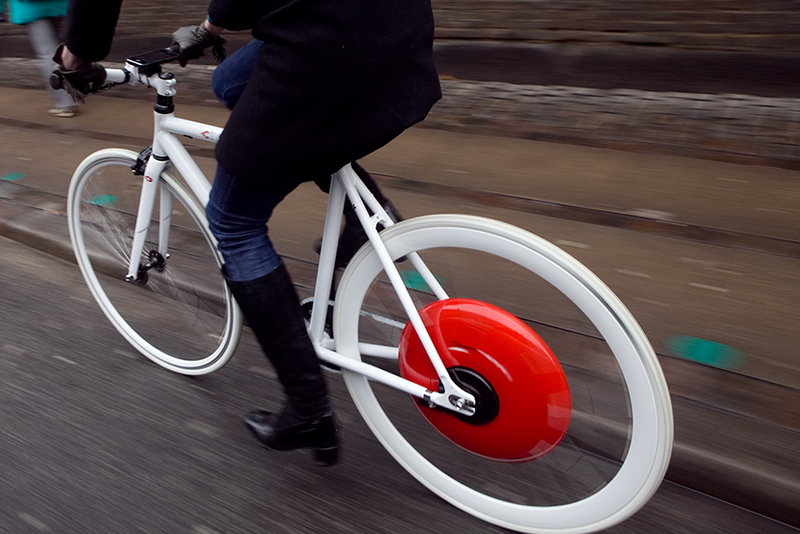 The Copenhagen Wheel is an electric motorized bicycle wheel that transforms ordinary bicycles into hybrid e-bikes, and takes advantage of the participant-based sensing model. In an earlier version as a research prototype, the wheel also functioned as a mobile sensing unit, collecting data and mapping out pollution levels, traffic congestion, environmental data and road conditions in real-time. The Copenhagen Wheel. Image courtesy of Max Tomasinelli. http://senseable.mit.edu/copenhagenwheel/index.html. The project was conceived and developed by the SENSEable City Lab for the Municipality of Copenhagen. The prototype bikes were realized with the help of our technical partner Ducati Energia and with funding from the Italian Ministry for the Environment. The Copenhagen Wheel: concept video. Video courtesy of SENSEable City Lab. 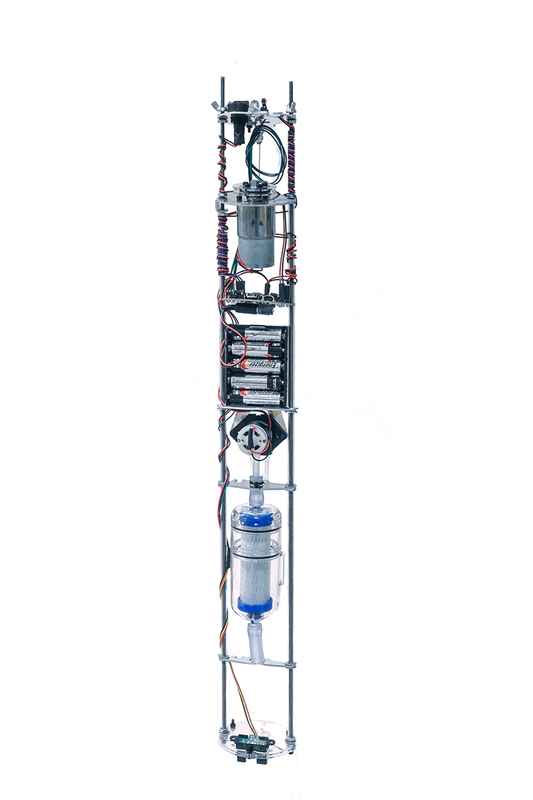 As a participatory sensing tool serving the citizen and the city, the prototype unit captured environmental and user information, such as air quality, travel time and route. This information was visualized so that the user could use it to plan healthier bike routes and achieve individual exercise goals. The information could also be shared with the city anonymously as a way to improve urban health and well-being. Moving beyond the research prototype phase, the Copenhagen Wheel is being developed for market by a new startup, Superpedestrian. While it will not initially contain sensing capabilities, it is being developed with the potential for this addition in the future. 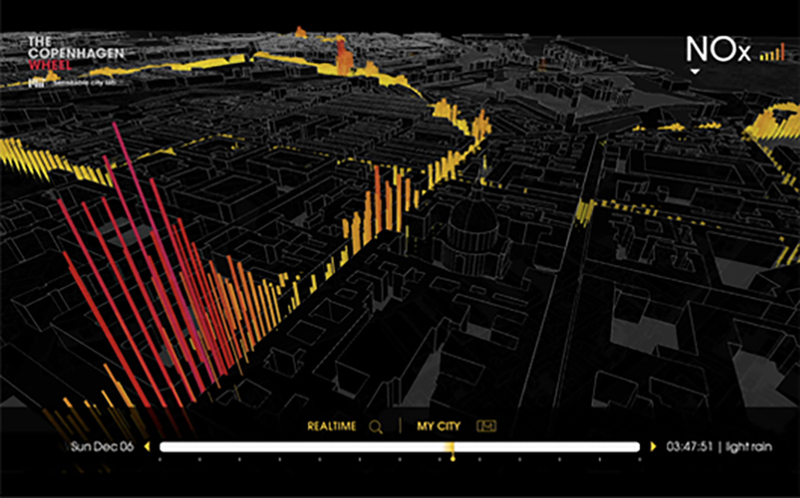 The Copenhagen Wheel: web visualization of air quality information from a single trip. Image courtesy of SENSEable City Lab. http://senseable.mit.edu/copenhagenwheel/index.html. 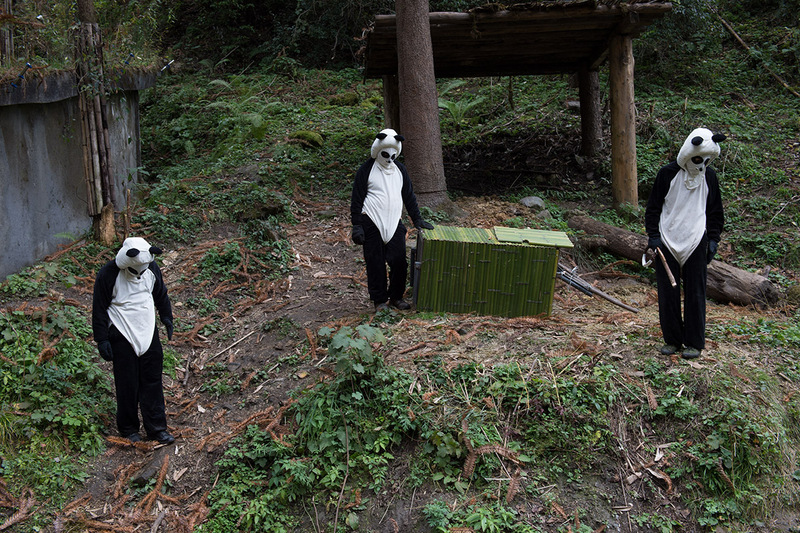 In these participatory sensing models, public participation is key. What is significant about the wheel is that it serves primarily as a service-based product: it provides cycling and transportation benefits to its users. 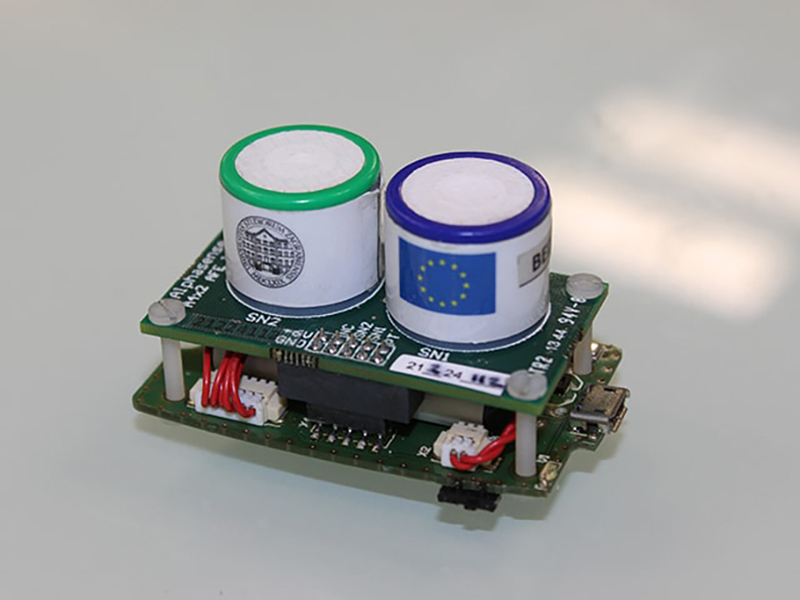 As a functional service, the electric wheel or the sensing platform might be adopted by a large number of users who would not otherwise participate in a sensing-based project. By coupling a sensing platform with a service, we are able to deploy more sensors and obtain a higher resolution of urban and environmental information. The Copenhagen Wheel: Data Visualization. Video courtesy of SENSEable City Lab. As we aim for an urban-scale approach to health and well-being, we must move past existing streams and areas of urban research and into new arenas. In a recent report from the World Economic Forum on the Top Ten Urban Innovations, smart sewage and water management is listed as the second most innovative solution.4 Population growth, ecological threats and climate change make it essential to manage water. The report calls for the use of sensors in network pipes to do so. Underworlds. Image courtesy of SENSEable City Lab. http://underworlds.mit.edu. Underworlds imagines a future of smart sewage—a future in which sewage is mined for real-time information on human health and behavior. The project proposes a platform consisting of sensors in sewage pipes, in order to analyze bacteria and virus information from sewage water. 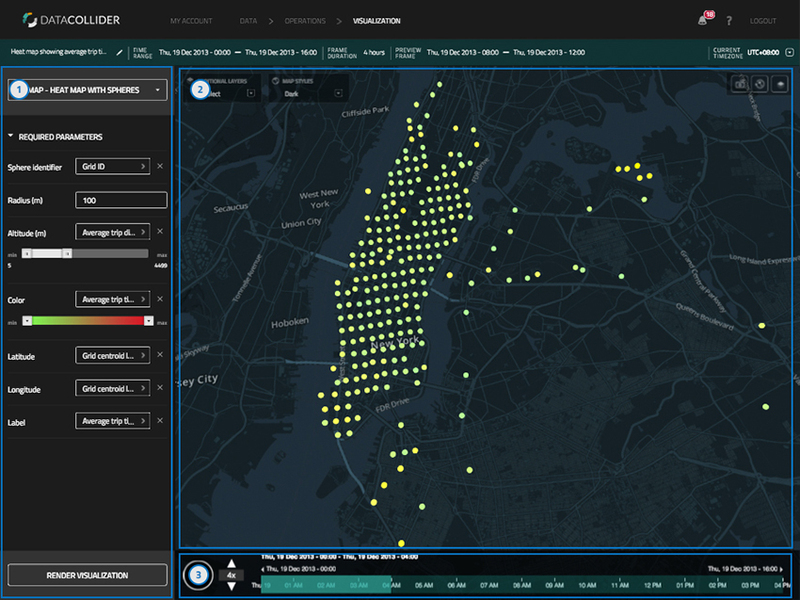 By deploying sewage collection units, which perform real-time data analysis, the Underworlds project is the first of its kind: a proof-of-concept that cities can use sensors as an instrument of service in waste water systems to carry out real-time urban epidemiology, and to understand human health and behavior with a fine spatio-temporal resolution. Underworlds: Luigi robot schematic. Image courtesy of SENSEable City Lab. http://underworlds.mit.edu. Underworlds has currently been developing smart sensor robots and deploying them in MIT campus manholes across Cambridge. Filtered sewage samples are being analyzed and biochemical data extracted in parallel at the MIT Alm Lab. 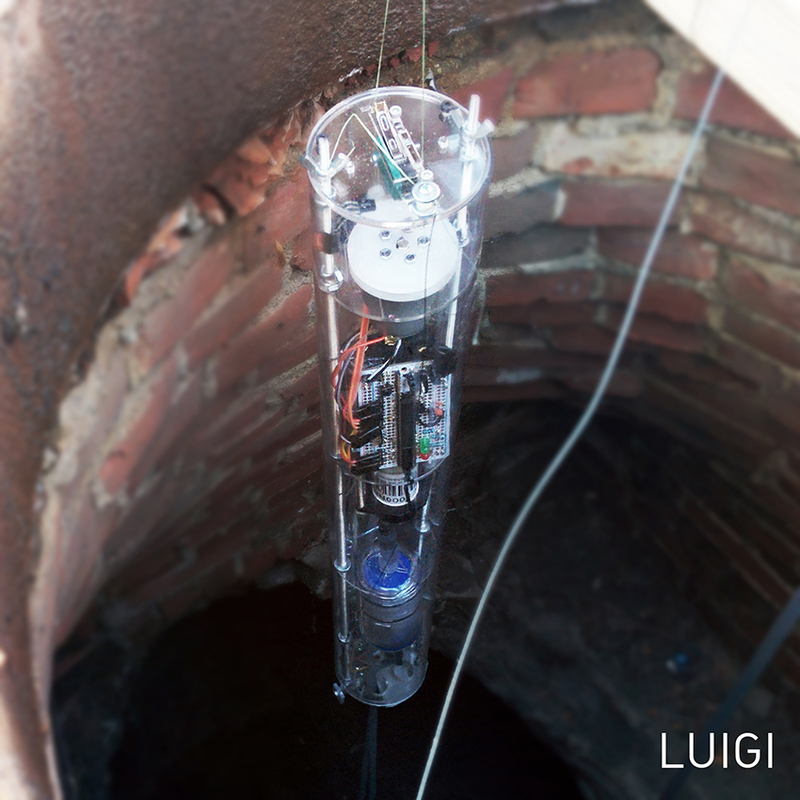 Underworlds: Luigi robot deployment. Image courtesy of SENSEable City Lab. http://underworlds.mit.edu. The first round of sample data has been visualized as a distribution of different virus types found in the initial sample, including human-host viruses responsible for influenza, papilloma and chickenpox, as well as virus strains which infect E. coli bacteria. The next phase is to deploy a full network of sensors throughout a pipe network, and to make the resulting data accessible through a web-based interactive visualization. 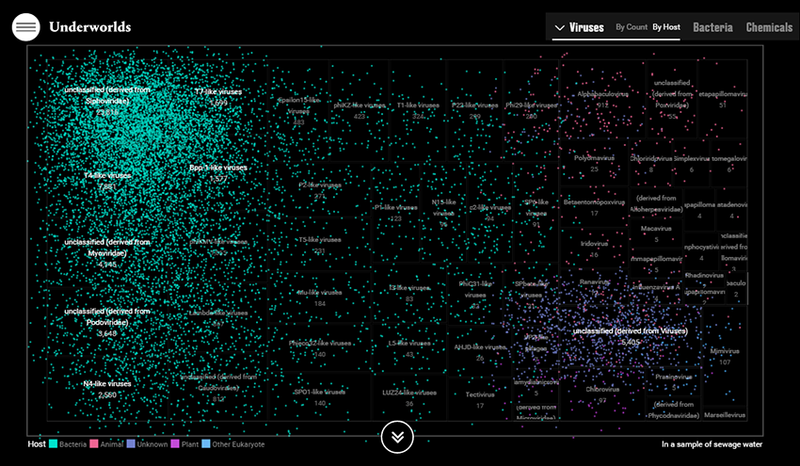 Underworlds: web visualization of virus distribution from sewage sample. Image courtesy of SENSEable City Lab. http://underworlds.mit.edu. We anticipate that the applications of this project include infectious disease surveillance, the prediction of outbreaks and census-level health surveying. Such early warnings could help to prevent pandemics, save lives and significantly reduce medical costs. By focusing our research in areas and fields that have yet to be explored on an urban scale, we anticipate new ways to serve our cities and our citizens. Distributed sensors are becoming an integral component in our lives. Embedded in our phones, in our computers, in our cars and in our cities, these sensors gather and relay streams of data about the spaces that surround us and our behavior within them. As sensors get smaller and smaller, they can be integrated in every piece of ourselves and our environments—an invisible “smart dust:” networked, atomized, computerized micro-particles that enable space to sense, intercommunicate and activate. 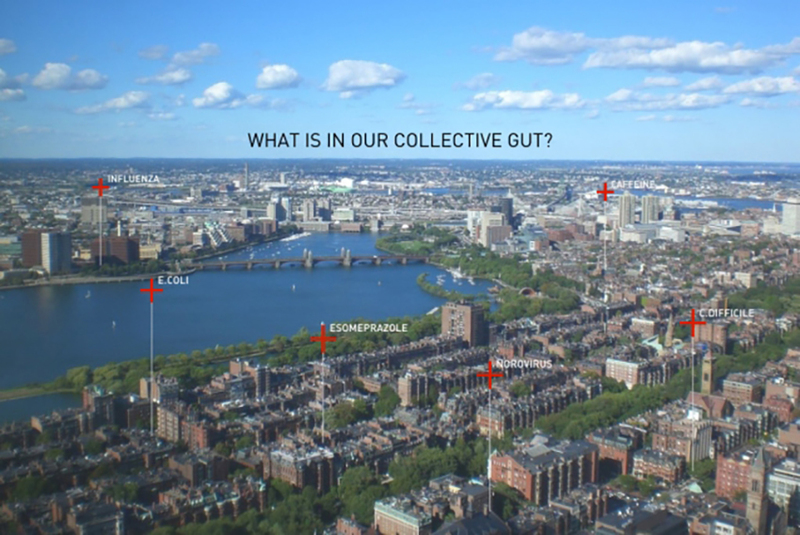 Our aim is to interrogate urban health through a variety of different dimensions (data sharing and visualization, participatory sensing and the exploration of the urban microbiome) that utilize these smart dust technologies. The ultimate goal: to bring health to the forefront of ideas on the SENSEable City—the city that responds in real-time to information about its environment. These instruments serve the general public, and help envision a city of bricks and bits as a healthy city as well. Jonathan Sun is an architect, designer, engineer, artist and writer. He is a doctoral student and researcher at MIT’s SENSEable City Lab in the Department of Urban Studies and Planning. He holds a M.Arch from Yale and a BASc in Engineering Science from the University of Toronto. His work investigates perception and experience across multiple disciplines, and has been featured on NPR and The Independent. For full acknowledgements, please visit the project websites listed below.